As the name suggests, the Blue Fox Vibrax Bullet Fly lure has the free spinning blade and VMC hooks standard with the classic Vibrax. However, it also boasts an additional fly tail. The tail adds another life-like element to the lure, tempting the fish with added realism. Furthermore, the tail does not inhibit the capabilities of the lure. 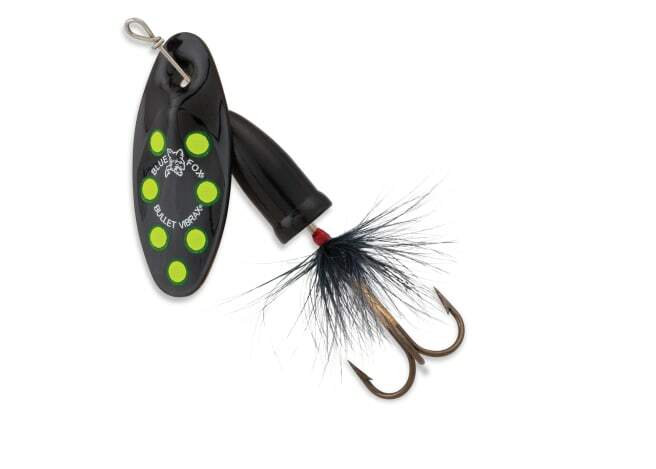 Still heavier than the classic, this is a great lure for fast moving or deep waters.